Very Very Vicky: A Special Day--Are You Curious? Hi there and Happy St. Patrick's Day! If you were checking by to see the beach cottage we bought for a dollar, here's the link for later, but why don't you stay for a moment and meet my family? In my never-to-be humble opinion, I have the best grandchildren ever. Seriously. Recently we celebrated Ella's 3rd birthday--Curious George, her favorite. Everyone went crazy over the cupcakes my daughter Kristen made for her pre-school party. They were fairly quick and simple to make (my favorite kind) so I thought I'd share a picture or two with you just in case you know any Curious George fans. Just make a cupcake with chocolate icing and use vanilla wafers to make the ears and face parts. Red icing for the mouth and black icing for the nostrils and eyes. Done! 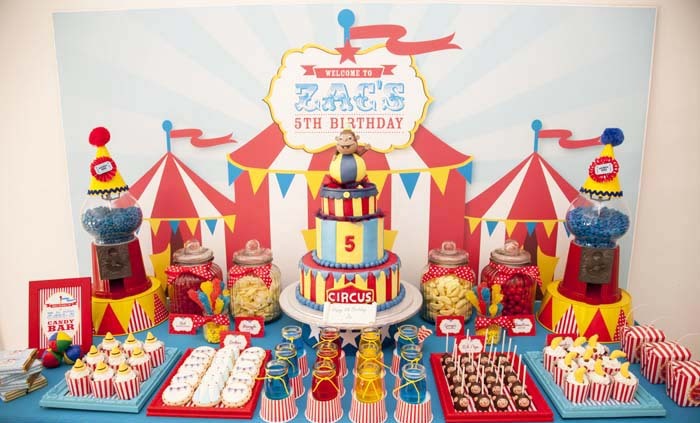 Just before writing this post I came across another Curious George party on Amy Atlas' party blog. It was very elaborate and fancy. Now I love a fancy party but they can be expensive and time-consuming and small children will have no more fun at them than at a simple party. It's more for the adults to enjoy. Fancy isn't Fun when Mama is all Fretful and Fussed! This is a totally thrilled 3 year old blowing out her own candles! Daddy surprised her by getting permission from his residency director to come to the party for a while--it was a highlight for Ella who is quite a Daddy's girl! The birthday girl felt celebrated, special, and loved! Now that's how birthdays should be! So cute!! Wish we were closer so we could've been there too! Wish you could have been too! Glad you will be at Charlotte's party in a couple weeks!